Freemasonry (or simply, Masonry) is a fraternal order whose basic tenets are brotherly love, relief (philanthropy), and truth. We strive to enjoy the company of our brother Masons, assist them in times of personal trouble, and reinforce essential moral values. There is an old adage that Masonry "takes good men and makes them better", which is our goal. It has often been observed that men are the products of everything they come into contact with during their lifetime. Masonry offers a man an opportunity to come into regular, enjoyable contact with men of good character, thus reinforcing his own personal moral development. Of course, Masonry is also meant to be enjoyed by its membership, so the order should not be viewed simply as a philosophical club, but rather a vibrant fellowship of men who seek to enjoy each other's company, a fraternity. While there probably are some actual stone-workers who are Masons, Masonry does not teach is membership the literal techniques of stonework. Rather, it takes the actual "operative" work of Medieval Masons and uses it as an allegory for moral development. Thus, the symbols of Masonry are the common tools that were used by medieval stonemasons: the gavel, the rule, the compass, the square, the level, etc. Each of these has a symbolic meaning in Masonry. For example, Masons are said to meet "on the level", meaning that all Masons are brothers, regardless of social status, personal wealth, or office within the Lodge or in the world at large. Similar symbolism exists for other tools. There are also a great many things that Masonry is NOT: a religion, a secret society, etc., and these will be covered later in this FAQ. Of course, no Mason would ever look down upon a Brother simply because he was of a lower degree-- the degrees do not exist to create a pecking order or to confer rank. Rather, they are a system of initiation that allows men to become familiar with the august and ancient history and principles of Masonry at a comfortable pace. Proceeding from Entered Apprentice to Master Mason in the US can take as little as three months, while in England, the degrees are spaced apart by a year's interval. Most Lodges have regular communications (meetings) once a month, that are also referred to as "business meetings". In the US, these are typically only open to Master Masons. In England, these meetings are usually opened in the first degree, and EAs may attend). Conferring of degrees is usually done at other meetings during the month. history, you name it. Masonry is a fraternity, and its membership seeks to have fun. Local Masonic Lodges are organized under Grand Lodges. 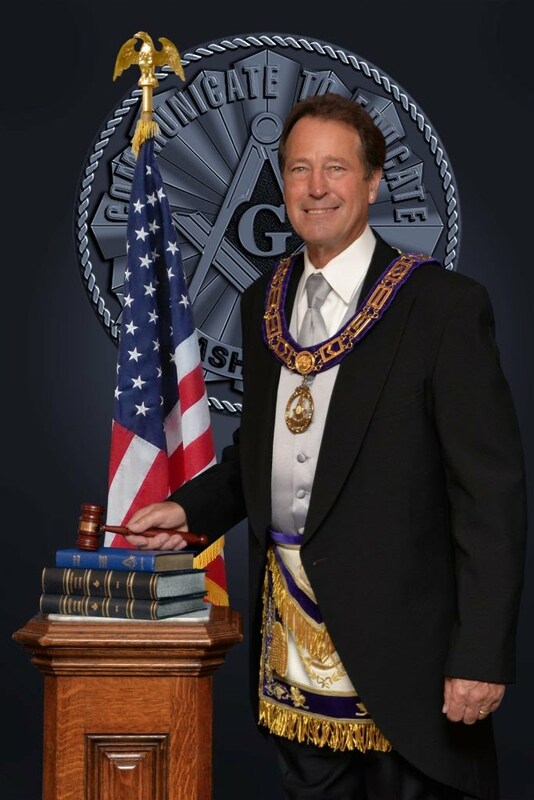 In the United States, each state has its own Grand Lodge, which is a peer with every other Grand Lodge. There is not "Grandest Lodge"-- each Grand Lodge is supreme in its jurisdiction (e.g., in the US, in its state) but has no authority elsewhere. Of course, this does not mean that Masonry in New York is radically different than Masonry in Scotland or New Mexico. Masons are very traditional and the differences between Grand Lodges are usually minor.